Screenwriter Josh Singer's analysis makes perfect sense. Good piece in the latest WSJ magazine by Stinson Carter about Hollywood’s current love affair with non-fiction magazine features as the basis for movie projects. A genre cemented by the runaway success of Argo. 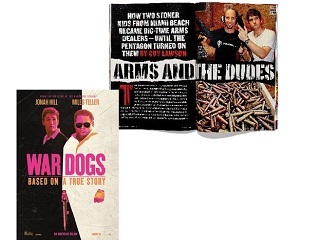 Up next in this Hollywood canon: War Dogs, coming in August, inspired by Guy Lawson’s Rolling Stone article “War and the Dudes.” Read the full WSJ magazine article here.